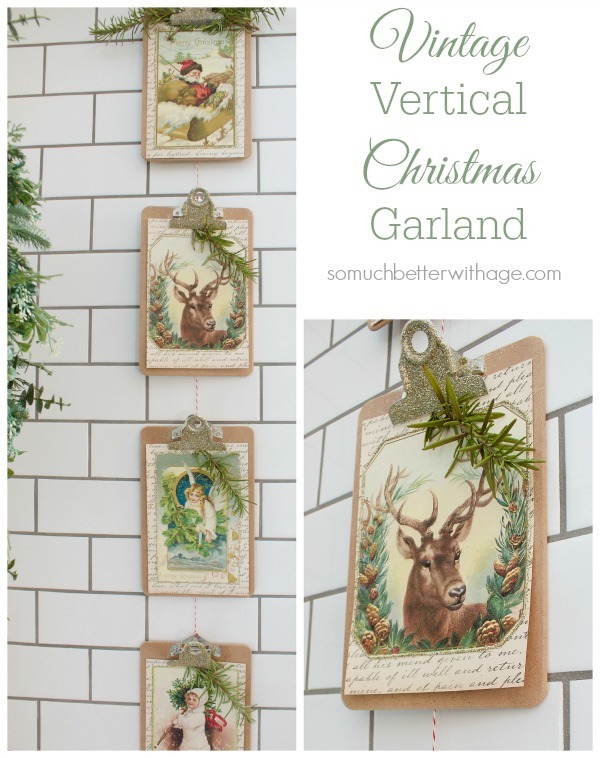 This vintage vertical Christmas garland is a great way to add some vintage style this holiday season. I’ve definitely been on a glitter kick this Christmas. 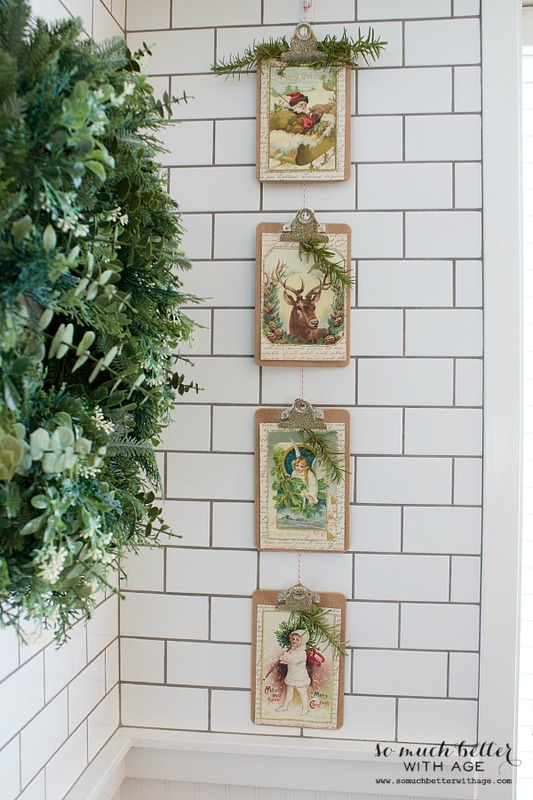 First the Joyeux Noel sign, the Vintage Postcards and now this, my Vintage Vertical Christmas Garland. I made this project using mostly office supplies. Can you believe it? 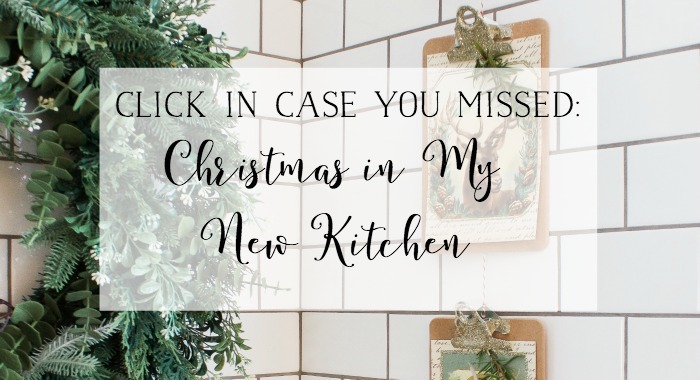 I love repurposing items and using items not intended for their original purpose. They are neutral in color (which I love) and these mini ones at Staples are adorable! 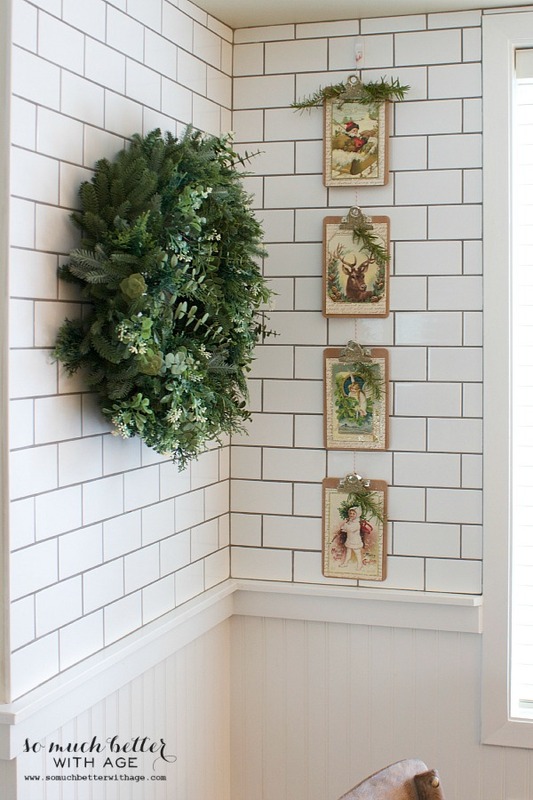 Why not make them into a vertical garland? 1. 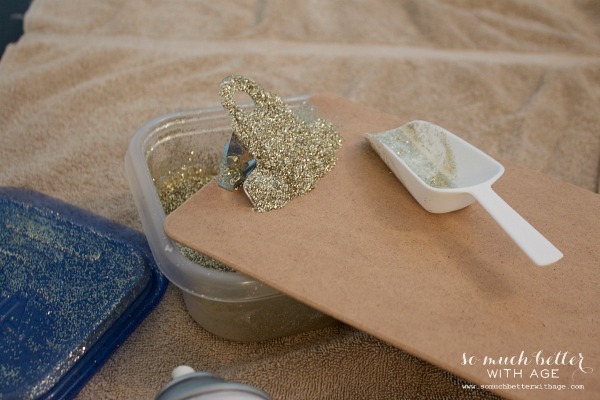 Spray metal tops of clipboards with the spray adhesive glue and sprinkle glitter all over it. Shake off. 2. Cut the handwriting scrapbook paper just a bit smaller than the clipboard. 3. 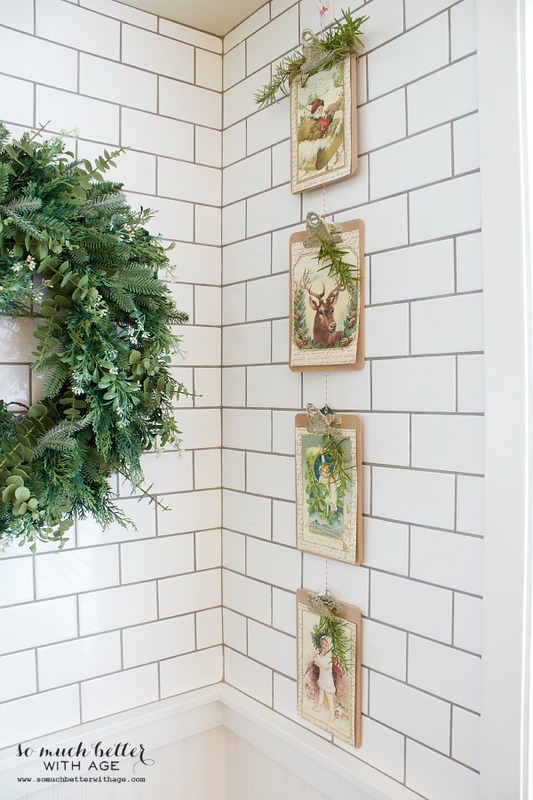 Print off beautiful vintage graphics from The Graphics Fairy. I downloaded each image then put it into a word document and played with the size. Print off onto card stock. 4. 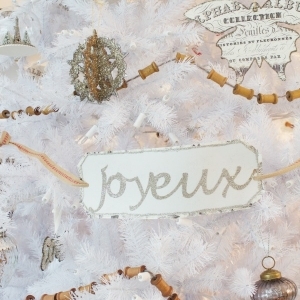 Cut out images and using double-sided tape stick to the scrapbook paper. 5. 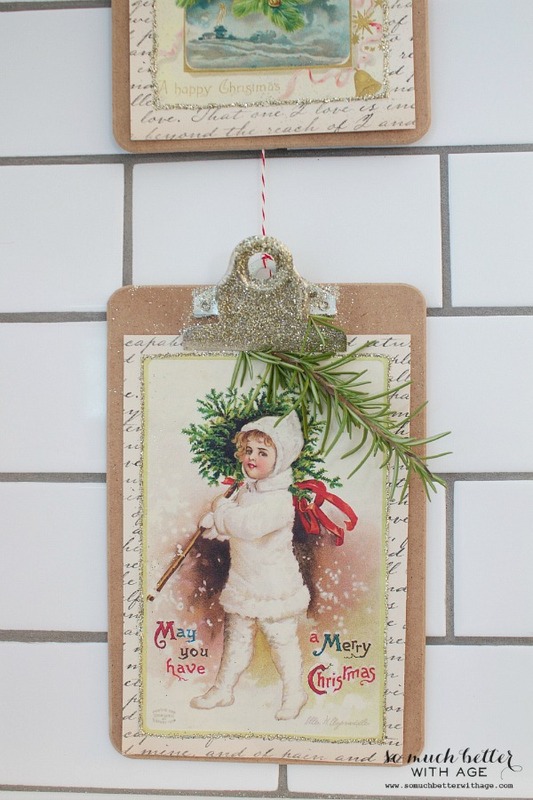 Clip the papers to clipboard and stick in some fresh rosemary. 6. 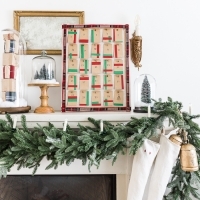 Using the red twine, tie them all together and hang. 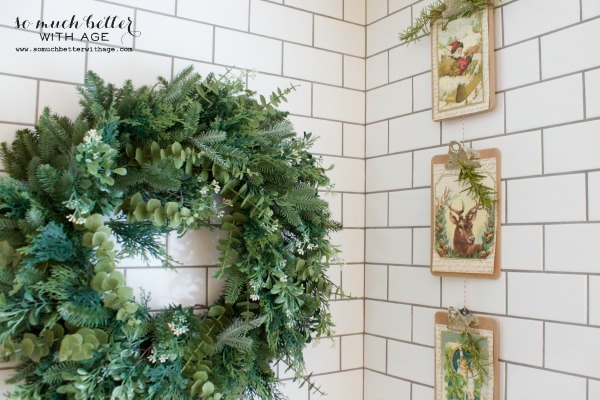 I love how it looks next to the Fraser Fir wreath. 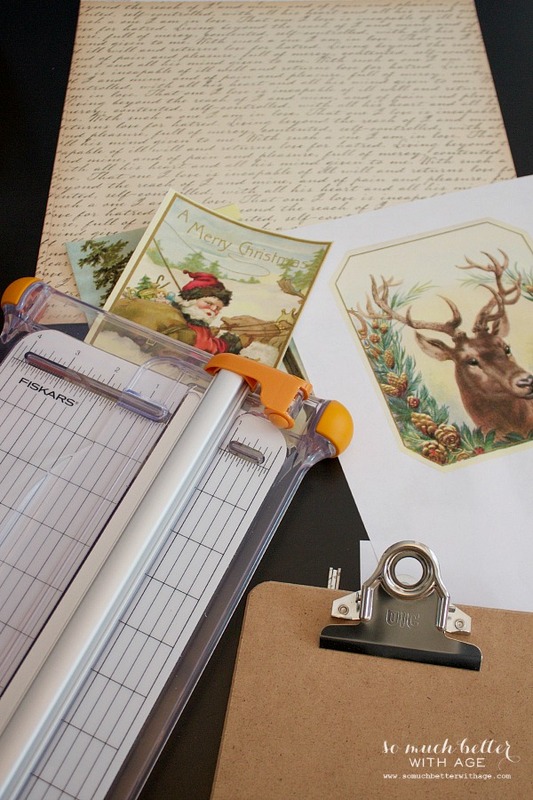 Think outside the box and craft something for Christmas using some of your office supplies! Disclosure: I was compensated with items from Staples. All opinions are 100% my own. Very pretty. I love the glittered clip! Merry Christmas! Beautiful, Jamie! I love this project. What a great price on the mini clipboards! Clever way to display artwork! Jamie, this is beautiful! 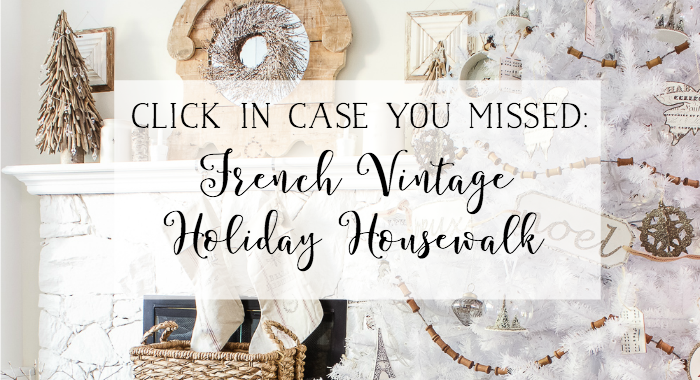 The vintage scenes are gorgeous and I love the glittered clips! So creative! This is absolutely ADORABLE, Jamie! 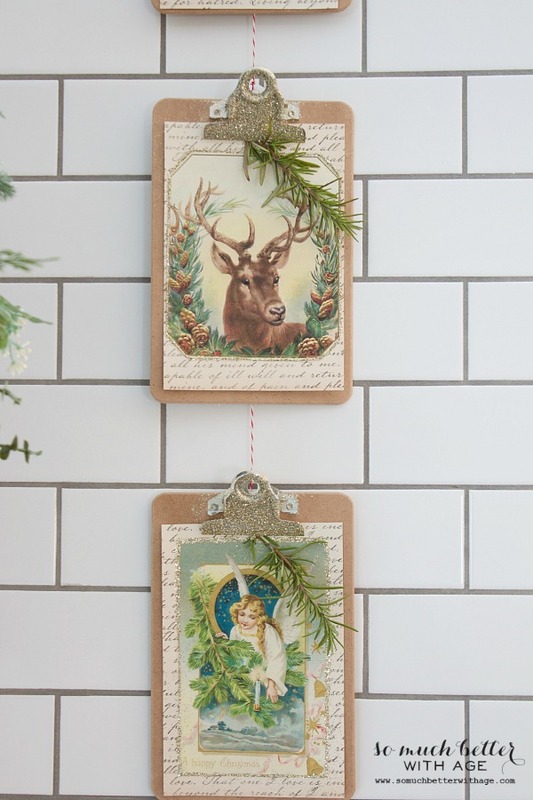 I love the glitter you added to the clipboards and the vintage prints…so cute!!! 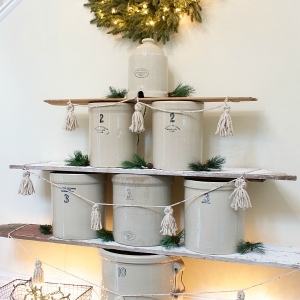 Such a cute display! I really love it! 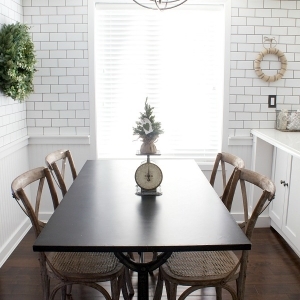 Love it … would love to copy this. 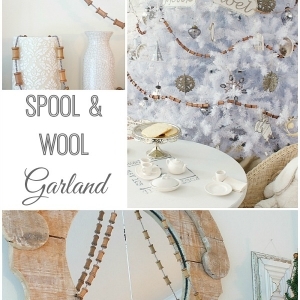 What a cute idea making a clipboard garland. I made some clipboard ornaments for my tree and added some to gifts (using them for the nametag) they are holding a black/white photo of the person that the gift is for. Glad to know that Staples have these mini’s (I made my own boards with some board that I already had on hand). Merry Christmas to you and your family!! Oh that sounds like a wonderful idea, Linda! Thanks so much for your sweet comment. These look amazing- I love the glitter!! So, so pretty & clever, Jamie! Merry Christmas! Very pretty! 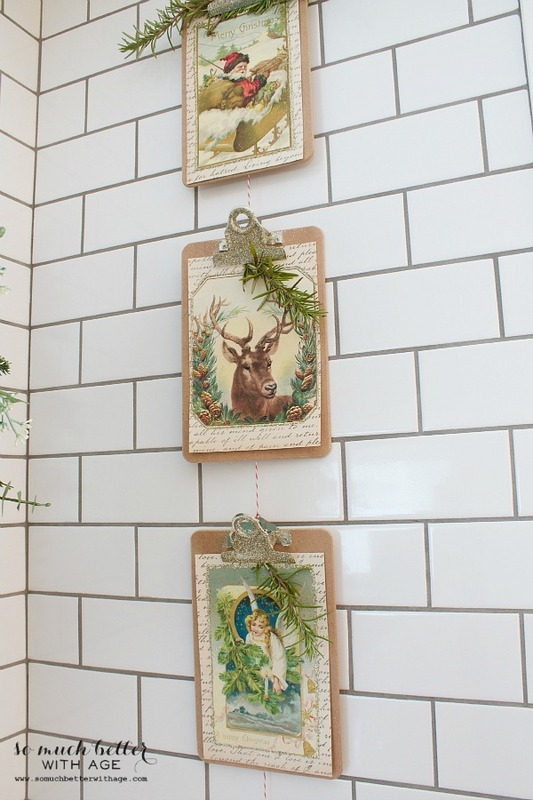 Love vintage images like that and the gold touch to the clips really adds a festive touch. Pinned. Thanks so much, Victoria. Merry Christmas!